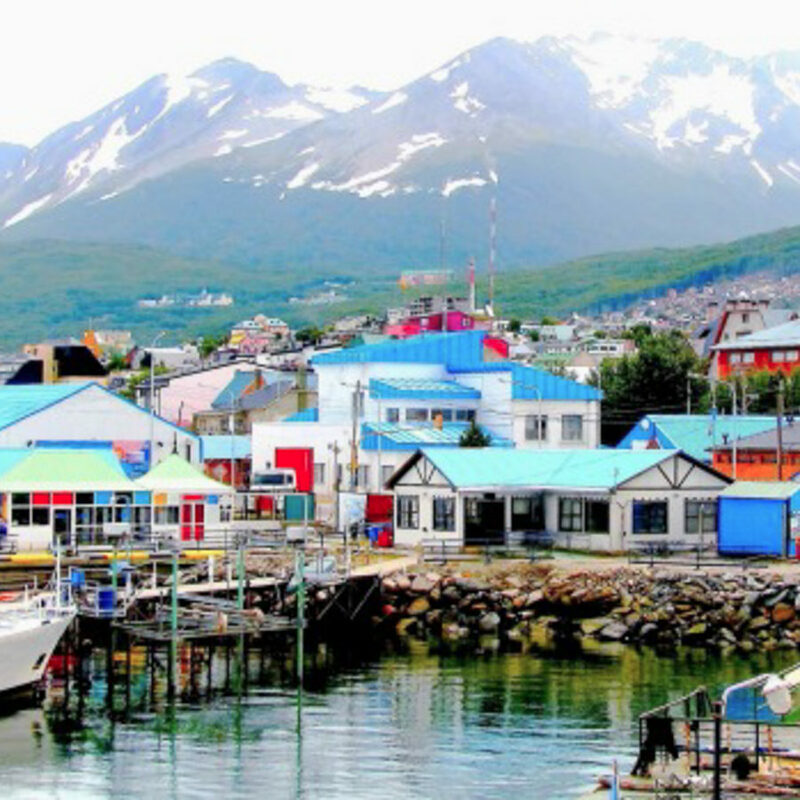 Ushuaia is the southernmost city in the world. 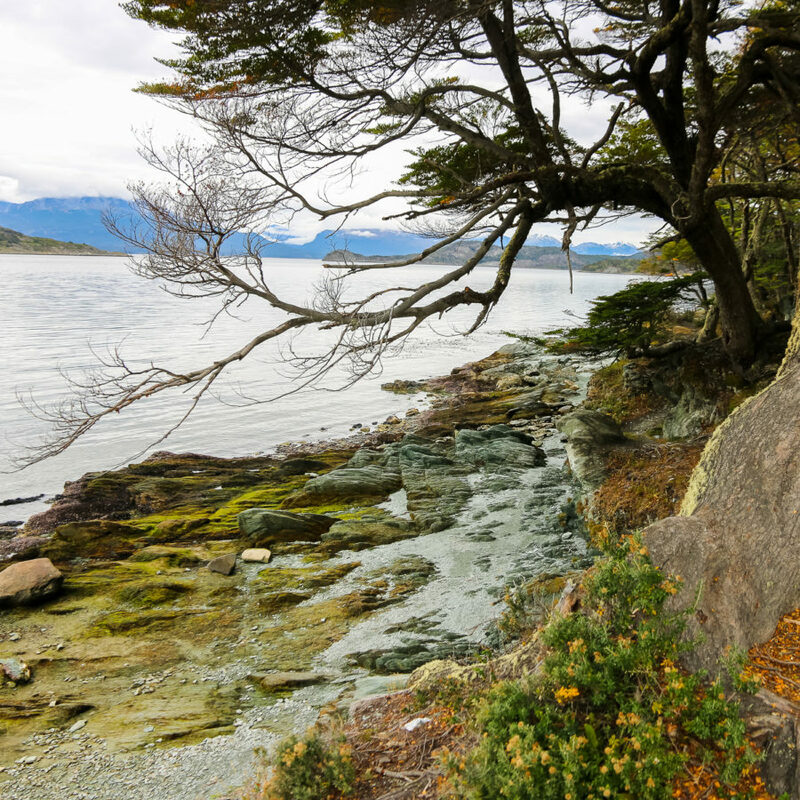 It’s perched on a steep hill below the Martial Glacier and south of the Beagle Channel. It’s a town that attracts tourist interested in fishing, hiking and the great outdoors. 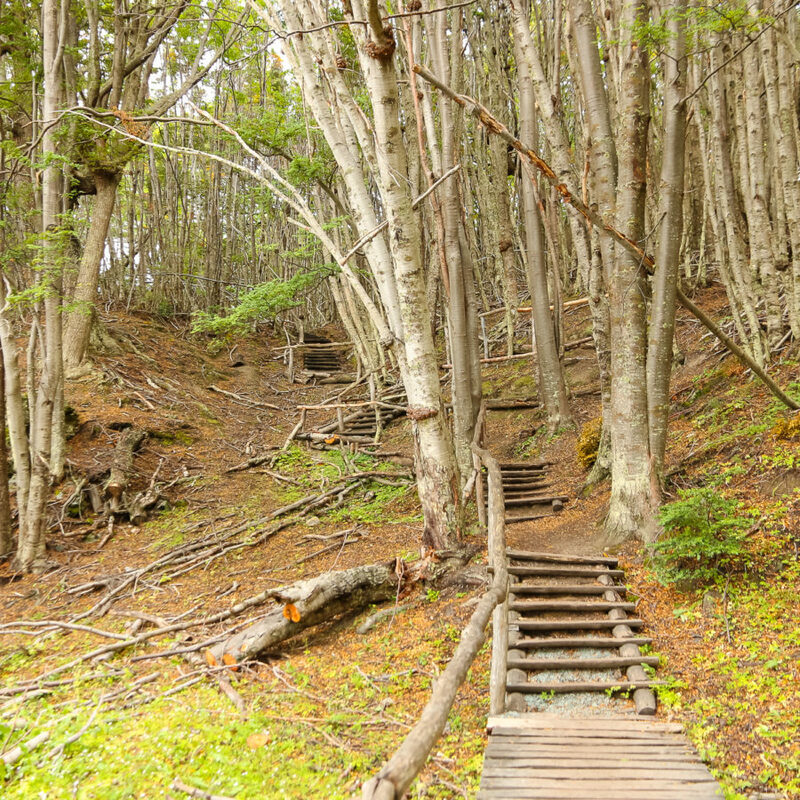 We walk off the ship and got a private guide to take us to Tierra Del Fuego National Park. It was a beautiful day and the guide told us that it was a rare to have sunshine and no rain. 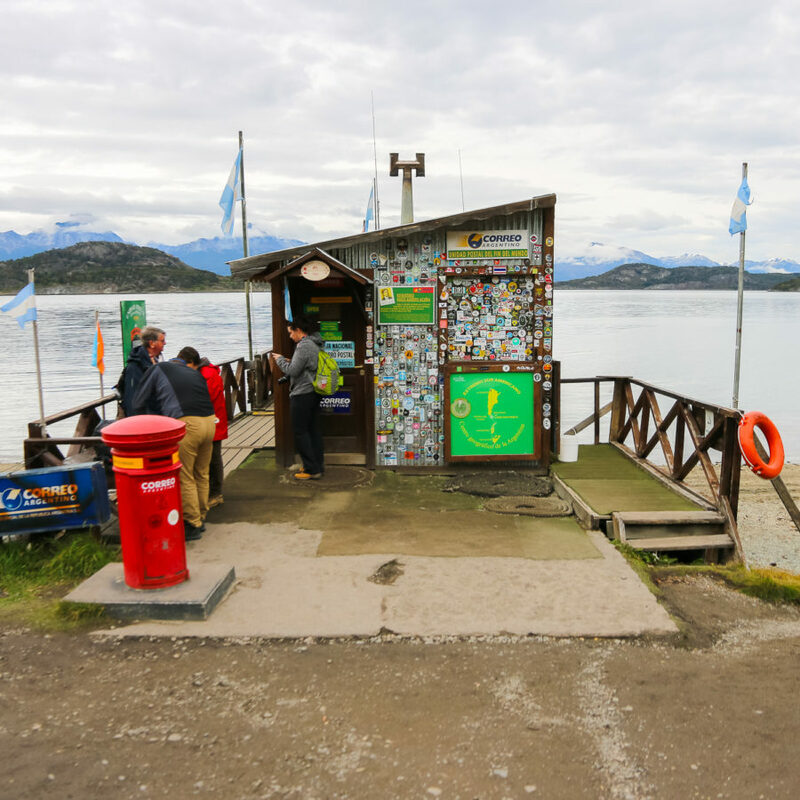 We went on a short walk in the woods and also saw the southernmost post office. Lot’s of people buy a postcard and mail to friends and family. Some even mail it to themselves. The Train of the End of the World draws a lot of tourist (we took a pass). 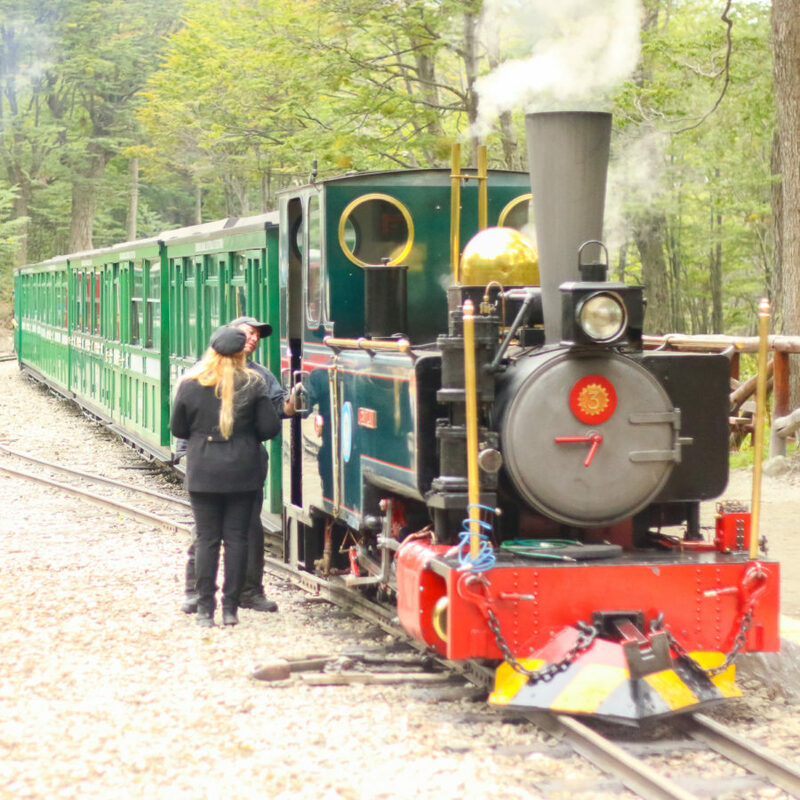 It was orginally a train used by prisoners to transport timber. In the early 1900’s Ushuaia had a large prison. The prisoners build the streets, the bridges and many public buildings. 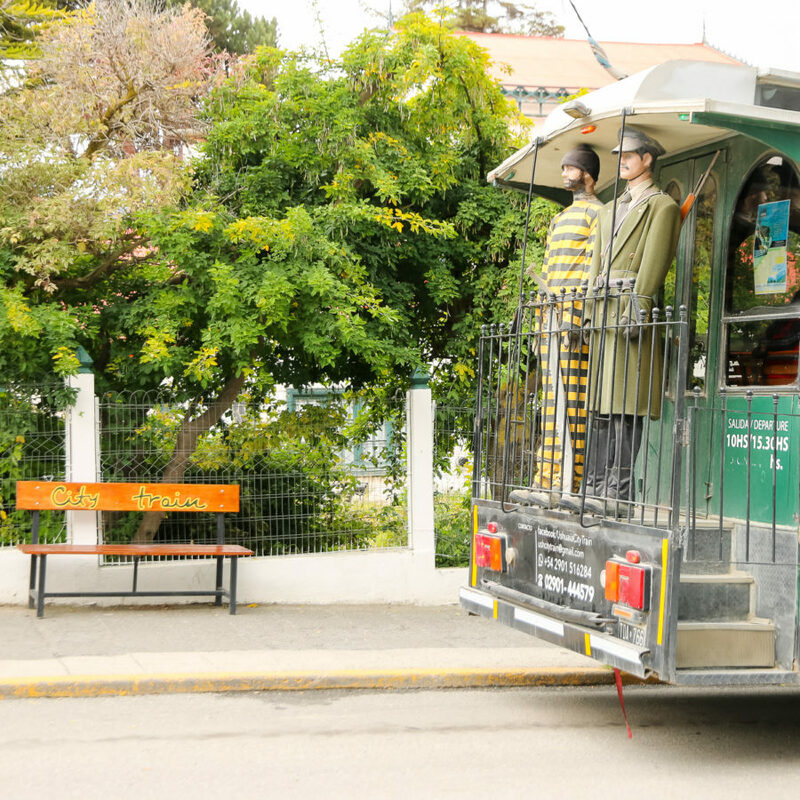 There are tours around town and in the prison, which is now a museum. On the way back to the port I did a little shopping at the handicraft fair. 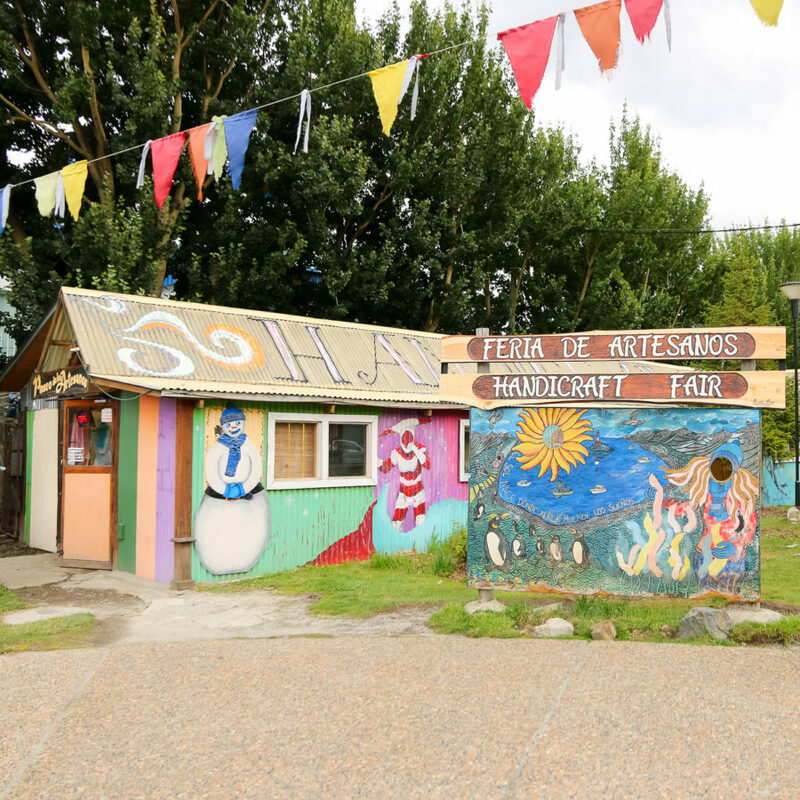 It had lots of artists and craftsman who were busy making and selling – yes I did buy a few things.